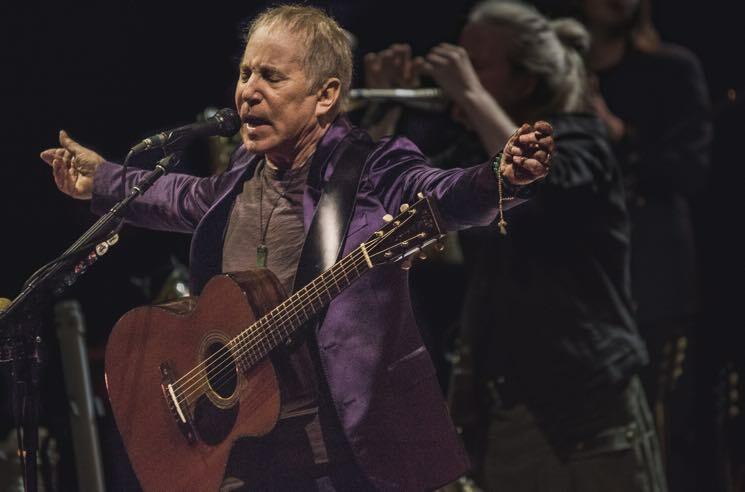 After hinting at his retirement in 2016, Paul Simon returned to the road in support of Stranger to Stranger last year. Now, though, the iconic singer-songwriter has revealed plans for what may be his final show. Simon will deliver what is being billed as a "farewell performance" at London's Hyde Park on July 15 in conjunction with the Barclaycard Summer Time Festival. Specifically, the show is coming under the banner of "Homeward Bound - The Farewell Performance." You can see the ad for the concert below. We are extremely excited to announce that the headliner closing our 2018 summer series will be the incredible #PaulSimon! Paul will be heading our way on Sunday 15th July with Homeward Bound - The Farewell Performance, plus some very special guests including the iconic #JamesTaylor & His All-Star Band, #BonnieRaitt and more to be announced very soon... 🌳 The Barclaycard pre-sale starts RIGHT NOW via http://po.st/6JZp4c. 🌳 Our pre-sale kicks off at 9am on Thursday. For access, sign up via www.bst-hydepark.com by 3pm tomorrow. Tickets go on general sale at 9am on Friday. See you all there! As of press time, however, the 76-year-old hasn't released any sort of official statement on his rumoured final appearance, though he did reveal a desire to retire from the public eye a couple years ago. "It's an act of courage to let go," Simon previously told the New York Times. "I am going to see what happens if I let go. Then I'm going to see, who am I? Or am I just this person that was defined by what I did? And if that's gone, if you have to make up yourself, who are you?" For the show at London's Hyde Park, Simon will be joined on the bill by Bonnie Raitt and James Taylor. Tickets for the gig go on sale to the general public this Friday (February 2) at 9 a.m. local time.